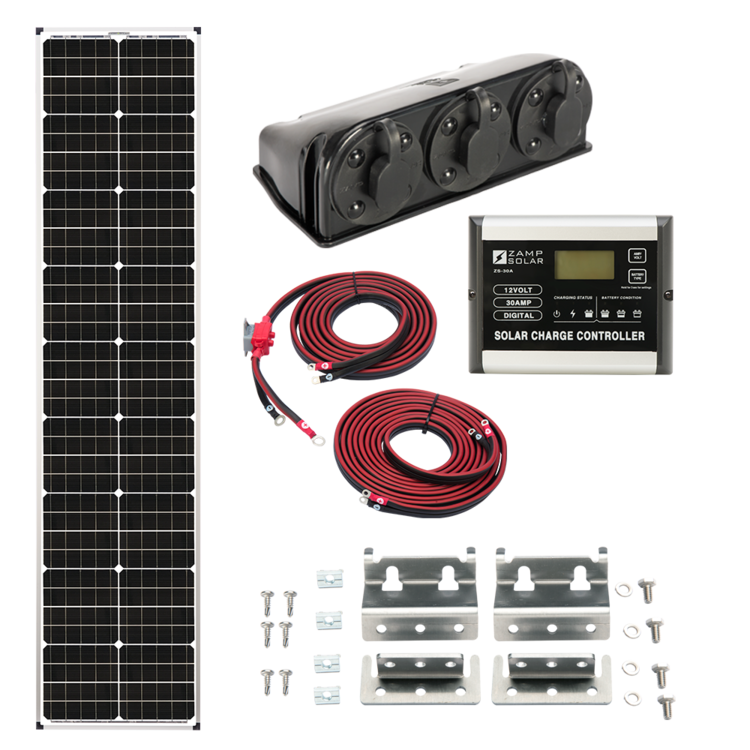 The Zamp 90-watt L Series panel in this kit is long and designed to accommodate narrow or curved rv roofs, most notably found on Airstream trailers. All US manufactured panels utilize top-of-the-line Grade A monocrystalline solar cells providing high efficiency output throughout the day. These high end panels are finished with specialized AR coated glass which has anti-reflective properties for maximum light absorption. 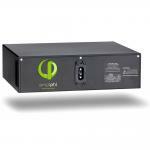 Keep your mind of ease with a visual check of the LCD display on the digital 5-stage charge controller. 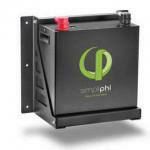 Real time indication of your system’s status for many metrics including volts, amps and amp hours. Dual self-resetting circuit breakers will keep your system protected from an over-current event. They will automatically reset after a period of time.